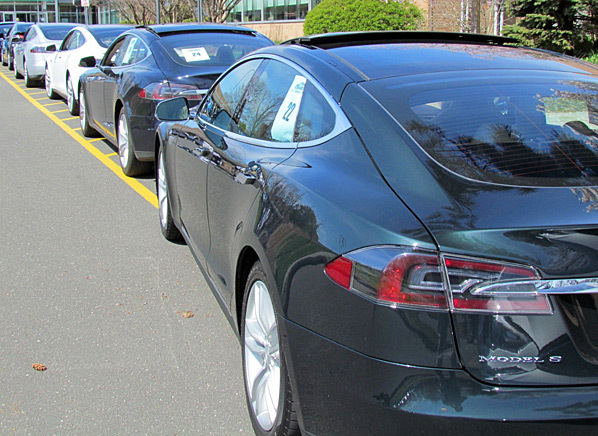 British Columbians have now purchased more than 1,000 plug-in electric vehicles. Add in low-speed neighbourhood electric vehicles and owner conversions, and the number will be a bit higher. As of Jan 31, 2014 Polk research (now a division of IHS) had tracked 912 plug-in electric vehicle registrations in BC, representing about 1/6 of all PHEV registrations in Canada to date. British Columbia has about 1/8 of Canada’s population, so the numbers are largely in line with what we’d expect from the demographics. Polk’s data doesn’t include the Toyota Prius Plug-in, Ford C-Max Energi or Ford Fusion Energi, however. Vehicle registrations for these plug-ins, is lumped in with sales of the regular hybrid versions. And through the end of 2013, these three models enjoyed Canadian sales of 594 units. Assuming that BC represented 1/6 of these sales (being 99 vehicles) then British Columbia’s plug-in population has hit four figures. At the end of January, sales would have been on the order of 912+99 = 1011. And that doesn’t include any Prius Plug-in, C-Max Energi or Fusion Energi sales in the province in January. Add probable sales in February to the mix, and we should be comfortably above the 1,000-car mark.